Our enormous inventory lets you choose from over 3,500 bolts of fabric and supplies displayed in over 4,300 square feet of space. 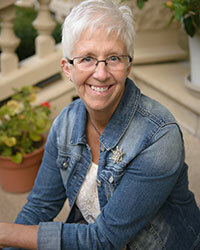 Store owner Jill Shaulis is a nationally known speaker, teacher, and quilting enthusiast. She loves to share her expertise at her distinctive shop in quaint Pearl City, Illinois. Jill invites you to stop in for a visit soon! Expert advice – our store is staffed with avid quilters who love to welcome you to our creative space, share their expertise, answer questions, and help you find just the right fabric or quilting accessory. Unique fabric designs and kits – our popular Kindred Spirits Collection, hand-created by store owner Jill Shaulis, is inspired by Civil War era textiles. Visit us to see and feel the beauty and quality of this collection firsthand. Classes, consultation, and creativity – whether you are a quilter, a wool crafter, or just enjoy sewing projects, we can help inspire you to meet your design goals. A fun shopping experience – our beautiful fabrics and unique gifts are sure to please quilters – as well as the friends who accompany them! If you want beautiful textile choices or a unique gift, our store is a great place to spend an hour or two.